Mobile devices now count for over 15% of global internet traffic. User behaviour is rapidly changing as we increasingly turn to our phones and tablets running on Android and IOS (IOS 7 for the lucky ones) to search and surf the web. The main reason for this phenomenon is based on the fact that mobile devices are much more accessible nowadays. Whether we’re surfing the net at home on the sofa, or on the high street shopping and waiting in queues, smartphones and tablets are always within easy reach of the user. 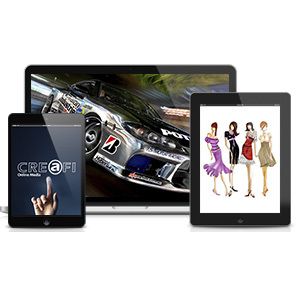 Creafi Online Media’s main priority is to generate and maintain successful campaigns for its clients and media partners. This goes for both web and mobile traffic and performance is key on both platforms. Don’t lose another minute and contact us via theCreafi website or send us an email [email protected],and start to gain an advantage over your competitors in reaching your target market . Creafi Online Media opens in France, Mon Dieu! ¿Buscas un Inversor? ¡La Mamma Mobile Busca Proyectos!